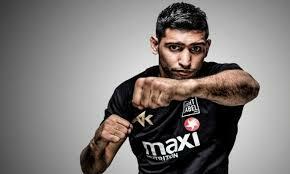 London, Pakistani fame British boxer, Amer Khan faced another scandal. A woman, Sofia Hamani accused of Amer Khan that he maintained the relationships with her being married. Amer Khan is consistently facing the troubles and there are no chances to reduce these issues. He was got fixed the scandal to get separated from his wife, Faryal Makhdoom last year and now he got involved in another scandal. 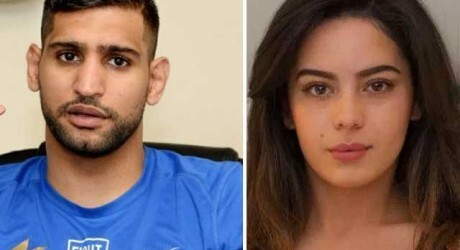 The 22 years old London based beautician Sofia Hamani accused of Amer Khan that he maintained his relationships with her just 17 days after the birth of her second daughter. Sofia said that he met with Amer Khan in London club at the start of this month, from where they went to a hotel. After that Amer Khan gave her the amount of 20 EUR. This location was 8 miles away from London and the fare of this location was totally 50 EUR. 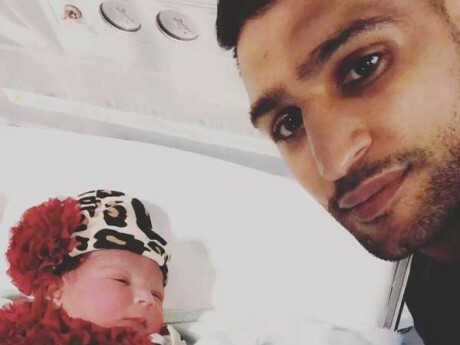 However, after some time returning to her flat, it was revealed that Amer Khan is the sports personality and he is not only married person but also became father of second child recently. Sofia says that she found about his marriage from the instagram account of Amer Khan. She was not imagined that Amer is married and she said that he is not trust worthy person. Sofia said sorry to Faryal Makhdoom, wife of Amer Khan it is nightmare to her and she should get separated from him. It is to be clear that Amer Khan did not respond to the accusations of Sofia Hamani.